Rev. John I. Jenkins, C.S.C., president of the University of Notre Dame, has expressed his deepest condolences to the family of Lisa Yang, a Notre Dame senior who passed away Tuesday (March 3) at Memorial Hospital in South Bend. Yang, 21, was a senior business major from Herndon, Virginia. A memorial Mass will be celebrated at 9 p.m. on Tuesday, March 24, in the Basilica of the Sacred Heart. Father Jenkins will preside and Rev. Pete McCormick, C.S.C., director of Campus Ministry, will preach. 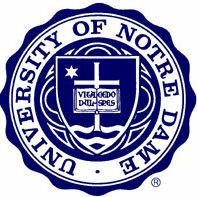 The University Counseling Center and Campus Ministry are available to offer their support to members of the Notre Dame community. Originally published by Dennis Brown at news.nd.edu on March 03, 2015.